How do we recruit local resources to help renovate our outdoor learning environment? 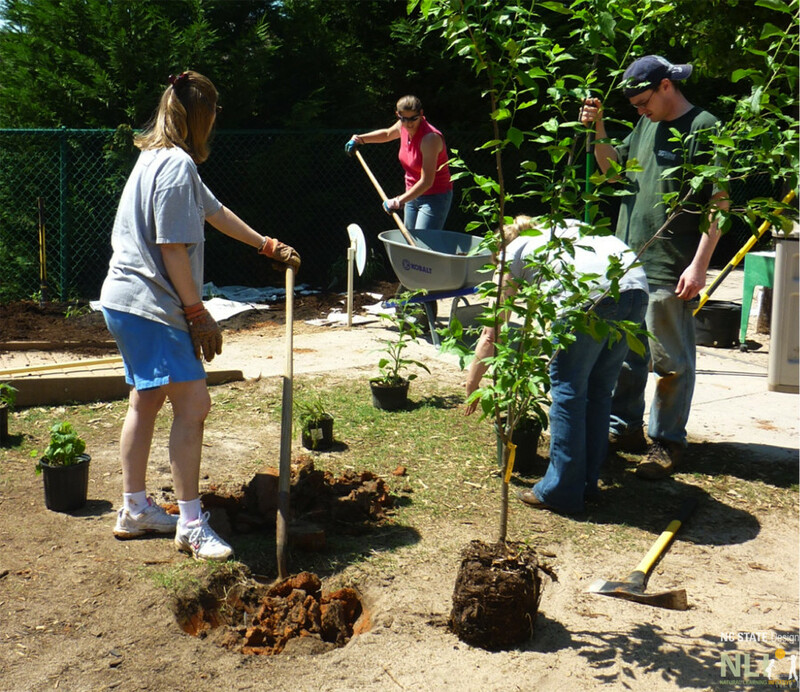 Engaging the community is key to successfully renovating an outdoor learning environment (OLE). Communities can provide resources such as volunteers to help with installation, donations of plants to naturalize OLEs, consultations for creating and maintaining edible gardens or carpentry skills to build structures like decks and arbors. Recruiting local resources can help stretch budgets and bring community support for long-term development and sustainability. Think about unique aspects of the community—its heritage, culture, history, and geographic location, which could connect the center’s efforts to the larger community. 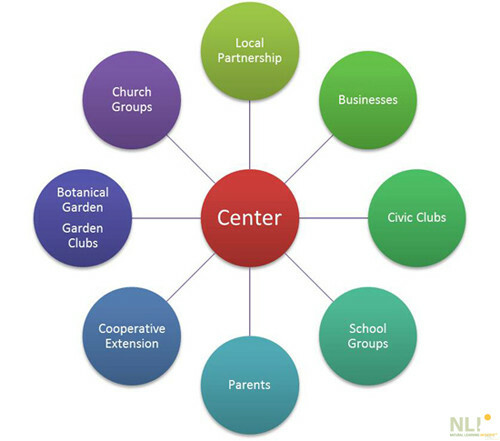 Create a ‘wish list’ of desired new elements and ask staff and center parents to help expand the circle of center friends and supporters by contacting local organizations, civic clubs, and businesses that might support the renovation (Figure 1). The local chamber of commerce may help to identify links to potential resources. Hosting a center event such as an open house, yard sale or garden party is an effective way to build community awareness and excitement about the OLE improvement. Concentrate efforts on engaging support for substantial improvements most critical to success that to implement require local builders, landscape contractors or gardening experts. Parents and staff work together to install trees, shrubs and perennials purchased at a great discount. 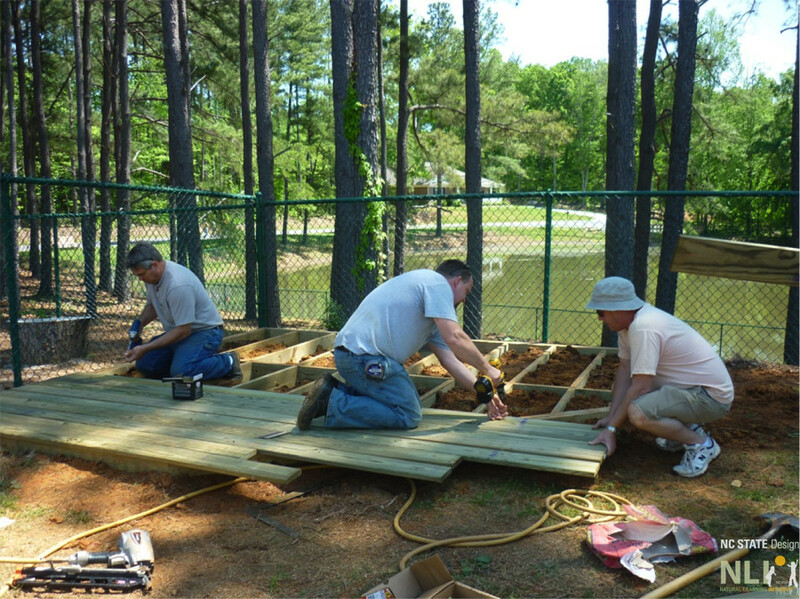 Members of a local civic club with carpentry skills build a stage at Shepherd’s Way Day School, Asheboro, NC. 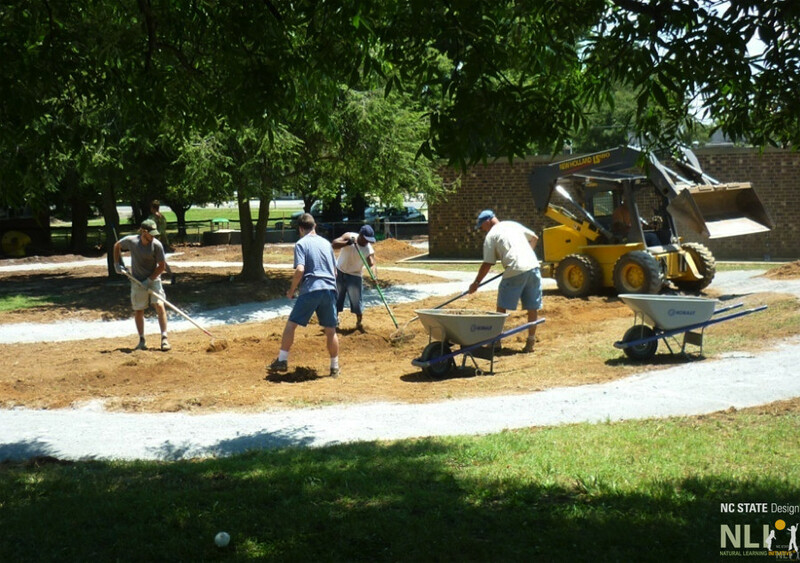 Led by a skilled landscape contractor, volunteers install the crushed stone pathway at Kids R Us, Liberty, NC.